One of my favorite outfits for summer is a slouchy shirt and shorts. 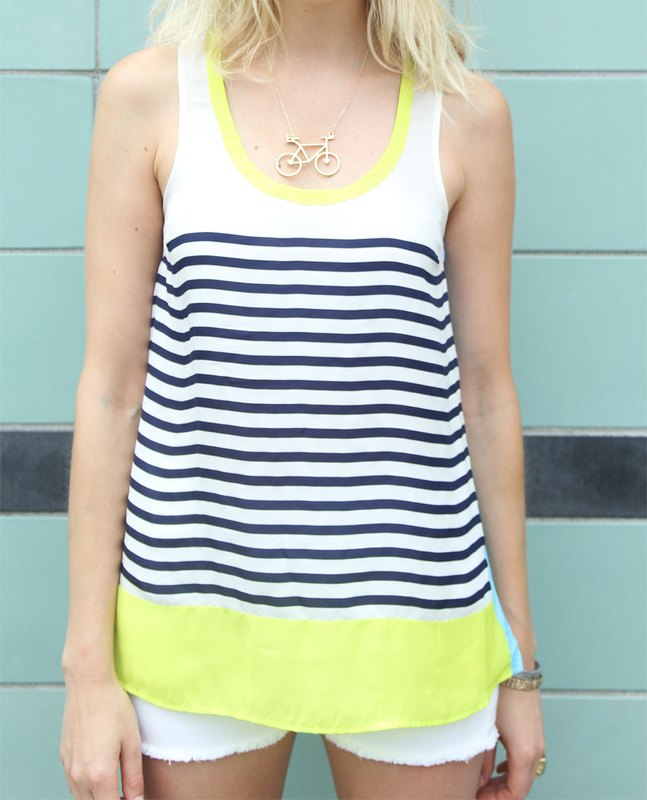 I found this awesome top in Anthropologie, a lovely combination of colors, stripes and cool design. White shorts have always been one of my best basic items, they pretty much match with everything! The necklace makes the apparel more fun. Clearly I have an obsession with bikes. First of all because my bike is my main mode of transportation, secondly bikes symbolize the great aspects of urban living, freedom and movement. Biking Stripes. Shirt – Anthropologie // Necklace – Forever 21 // Shorts – H&M // Ring – inherited from my Mum // Shoes- Anthropologie.